The Aperture. 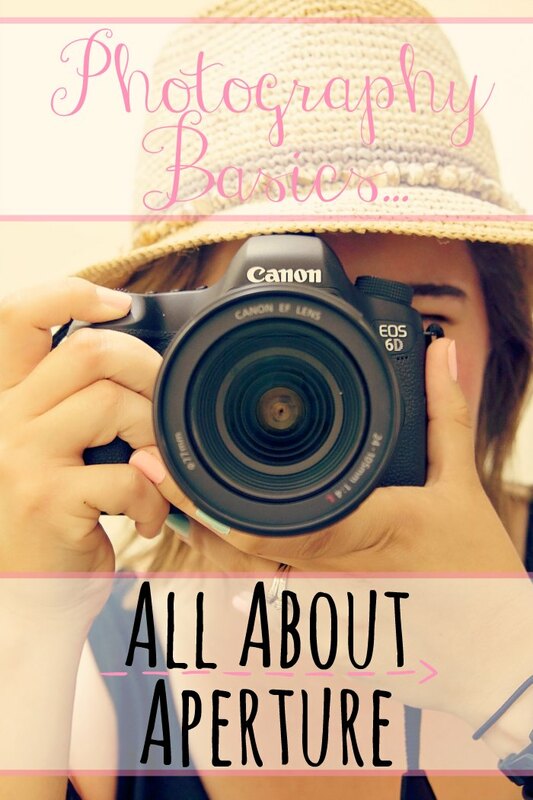 It has to be the number one thing that confuses people most about photography. 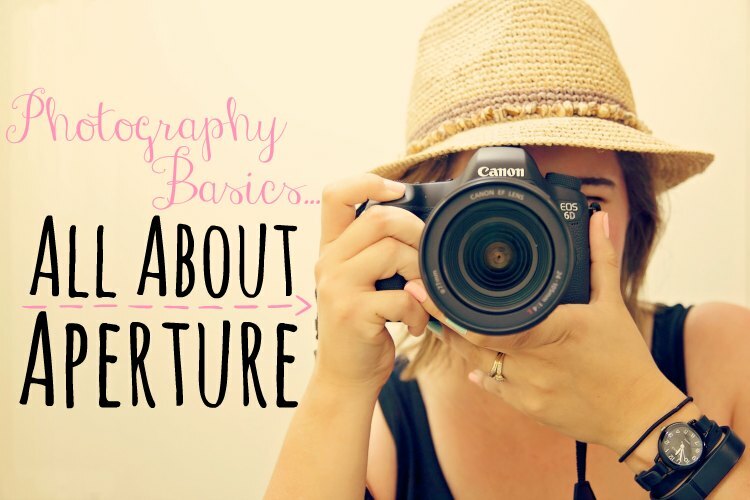 By far, the aperture was the one function of my camera that took me the longest to wrap my head around. Like the first two aspects of our cameras & exposure that I talked about in previous posts, Shutter Speed and ISO, the aperture has two functions. The first function is to help us get correct exposure for our images. By opening or closing the aperture we can let more or less light in to the camera's sensor. The second function the aperture has is determining our depth of field. That is, how much of our image is in sharp focus. I'll touch on Depth of Field later in this post because I want to concentrate on the first function of the aperture, helping to create the correct exposure for our image. We know that creating a photograph is all about how we capture the light. By combining the settings of our shutter speed, ISO and aperture we can determine how much light we let in to our camera, which directly affects how light or dark our image is. For those that need a quick refresher, the shutter speed relates to how fast or slow the little doors (shutters) inside our camera open and close. The speed of your shutter determines how long your camera's sensor is exposed to the light coming through the doors. The ISO setting you choose determines how sensitive the camera's sensor is to that light being let in. The shutter speed also affects the movement in your image, and the ISO affects the noise or grain in your image. If you're really not sure what I'm talking about it's probably a good idea to have a read through my previous posts in the Photography Basics series, which will hopefully give you a better understanding. How does the aperture affect exposure? Now we move on to the third component of creating a good exposure for our pictures, the aperture. The aperture is a hole or opening that gets bigger (wider) or smaller to allow more or less light to pass through your camera's lens. The aperture setting is measured in what we call f-stops. An f/stop is represented by a number. When it comes to counting and day-to-day life, in most cases a smaller number means less of something, and a larger number means more of something. However when it comes to photography and the role aperture plays in exposure, the opposite is true. A smaller number (ie. f/2) opens up the aperture to let more light in. A larger number (like f/16 or f/22) closes down the aperture to let in less light. A SMALL f/stop is a LARGER number (f/22) = CLOSES the aperture for LESS light. Smaller numbers equalled bigger amounts of light. Bigger numbers equalled smaller amounts of light. How does the aperture affect depth of field? Most modern digital cameras these days have a setting that allows you to decide on what aperture you want to use, and then the camera changes the shutter speed and ISO according to the available light in the scene you are photographing. This mode is called Aperture Priority mode (Av) on most cameras. Popping your camera in to Aperture priority mode is one of the best ways to start experimenting with the cameras aperture. Once you've taken a few pictures in Av mode you can then pop them on your computer to see what happens to the photos you've taken. Doing this will also enable you to see what effect the choice of aperture setting also has on your depth of field. There are many elements that affect the depth of field in your image, such as how far you are from your subject, but unlike how your aperture affects exposure, when it comes to depth of field, the smaller the number is the smaller your depth of field will be. The bigger the number is, the bigger the depth of field will be. If I'm taking a picture of one of my girls and I want to focus in on a detail, such as their hand or fingers and have everything else out of focus, I will open up my aperture (say around f/1.4 to f/2.2). However if I'm taking a photo of a beautiful sunset over the mountains I will close down my aperture (f/16 to f/22) so that the majority of my photo is in focus and not blurry. A small number would give me a small area of focus. A large number would give me a large area of focus. I'm sure I'm probably confusing many of you right now, so I'll leave it there and finish with a few examples of my own work where you can really see the difference that your aperture setting makes to exposure and depth of field. Please feel free to ask as many questions as you like in the comments about aperture or any other aspect of exposure and how your camera works and I'll do my best to give you the answer or point you in the right direction of someone who can explain it better than I can! This photo was taken with an f/stop of f/2.0. 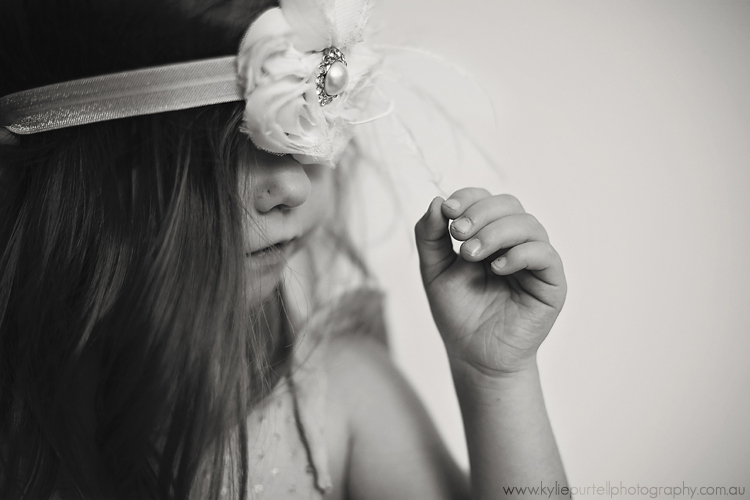 I wanted to really focus on the contrast between the pretty headband and the dirty toddler fingers, so I chose to utilise a large f/stop to really narrow down the depth of field. As you can see, the main areas of focus in the picture are the fingers and the jewels on the headband, with everything else in the image much softer. I used a shutter speed of 1/125 and an ISO of 400. 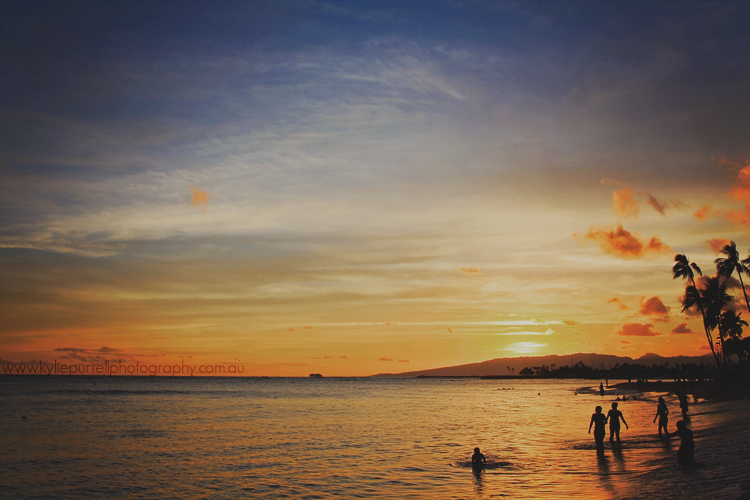 I used a smaller f/stop of f/10 to take this image of the sunset in Hawaii. I wanted the scene to be mostly in focus, and you can see that for the most part the foreground, middle and background of the image are all in focus. I used a shutter speed of 1/160 and an ISO of 100. In the photos above I used the exact same shutter speed and ISO setting (1/250, 400) and only changed my aperture. You can see how the larger the aperture (the smaller number) the more light is let in, the smaller the aperture (larger number) the less light is let in. In the photos above I adjusted all three of my settings to achieve correct exposure of the scene (no blown out or over-exposed highlights and good detail in the shadow). By looking at the scene behind the little bear, you can see that in the first image with the larger f/stop (f1.4) the background is totally out of focus and blurry. With a slightly smaller aperture we start to see that background come in to focus, and with the last photo that has the smallest aperture (f/16) the background is clearly in focus and you can make out the swings and other detail in the background. Hopefully this has helped you start to get your head around the aperture function on your camera and what it can do to your photos. As I said above, if you have any questions please hit me up with them in the comments below.